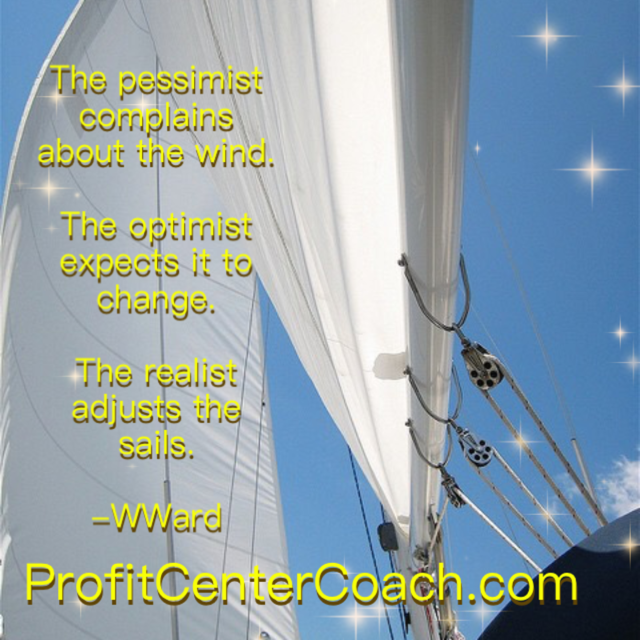 Adjust your sails! Its ok to complain a little as long as you are optimistic. Small business have an advantage in being able to see a problem and adjust quickly, just like a sail boat. Plan ahead and be ready. Great ideas for planning ahead include building relationships with your customers via your list marketing. If your trouble is no sales or that you need more sales, if you have taken time to develop relationships with your customers instead of just putting them on a list, it will be more successful each time you market to them. 3-If you have a database and you don’t need to adjust, it’s time to send a friendly “here’s what the business is up to” message via email or if you’re still building that list, send it via your social network posts.